While at Comic-Con to debut their new drama series Cult, which will premiere on The CW in early 2013, creator Rockne S. O’Bannon (who previously created Farscape) and actor Matthew Davis (Alaric from The Vampire Diaries) spoke to the press about the origin of the complex and complicated mystery show. The story follows investigative journalist Jeff Sefton (Davis), whose brother mysteriously disappears after ranting that a hit TV show intends to harm him. When Jeff takes Nate’s paranoia seriously, he begins to uncover the dark underworld of the TV show Cult and its rabid fans. 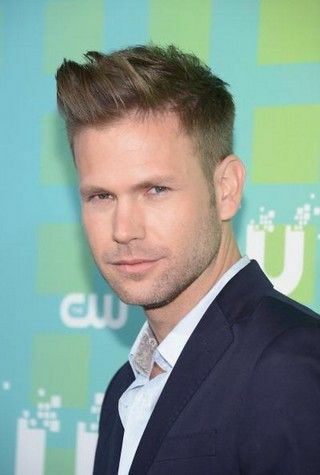 During this interview, Matthew Davis and Rockne S. O’Bannon talked about how the concept of this show has been affected by the use of social media and its importance in so many people’s lives, what inspired the TV show within the show, and how quickly this show came about after the end of Davis’ time on The Vampire Diaries. Davis also said that he hopes to have some involvement in show’s website and that he’s already coming up with some ideas for it. Check out what they had to say after the jump. Rockne, how has it been to return to TV with Cult? ROCKNE O’BANNON: It’s been quite the journey. I actually wrote this five or six years ago, originally. It was a reaction to an experience I had with Farscape, another series of mine, where I saw this phenomenon with fans rallying around the show. They would meet each other and communicate and come together via online, and it was wonderful to see. This wonderful fan family started to develop. But then, naturally, as my head tends to go, I thought, “Okay, what if there wasn’t this wonderfully warm sci-fi adventure show, but it was something a little bit darker and edgier? What kind of fans would that bring in?” That’s what started me down the path of creating Cult. At the time, five years ago, I would have been thrilled to have the show on then. But, to be very honest, the timing now is absolutely perfect. Social media, as a rallying point for fans, has just exploded. It’s very helpful to us, and The CW as well. They are so into using social media as a rallying point for the series. It couldn’t be more perfect. Has the concept of the show changed at all, over the years? 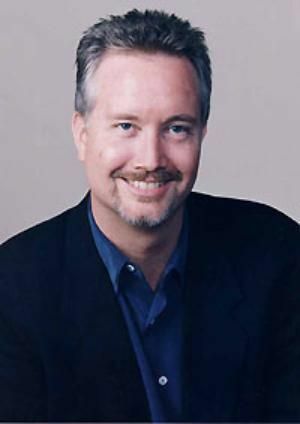 O’BANNON: All its done is heighten the experience of the show. When I wrote it before, people would essentially communicate via email and blogs. Now, people communicate instantly. Just in talking to the marketing folks at The CW about how instantaneous that is and how the Twitter communication during a show can impact viewership fascinated me. Every time I hear that, I salivate because it so ties in with the concept of the show. The timing is perfect. The CW really is the perfect venue for us because they have such a young audience that is exactly who we’re talking about, in the show. What inspired the TV show within the show? O’BANNON: The inspiration was that, as writers, we’re always trying to connect with the audience on a visceral level. We usually do that through drama, through emotion or through humor. As I started to form the idea for this show, I thought, “Here’s a chance to connect on a visceral level that I’ve never quite seen before.” There are films, like Paranormal Activity and The Blair Witch Project, that have found footage and create that sense of, “Am I seeing something that’s real or not real?” But, nobody had ever really accomplished that on television. I thought, “Here’s an opportunity to really blur that line, so that, when you’re watching the show, you’ll see things on the inside show that will then appear in the world, and back and forth.” The intent is really to create, for the audience watching at home, the sense that they’re not really in control of their viewing experience, like they are with normal shows. I showed the show to my family awhile back, and my son had his girlfriend over, and they’re in their late teens. It was nighttime and he walked her out to her car afternoon, and when he came back, he said, “She was actually scared, walking to her car.” I was like, “Great! I’m thrilled!” The show is creepy. So, I said, “Why was she scared?,” and he said, “Because, walking to her car, she really expected the elements she’d seen in the show to be out on the street with her.” That’s exactly what I was hoping the show would do. After you watch the show, it doesn’t really leave you. The experience is still there. So, even as you watch the next show, or you walk away from the TV, it comes with you. The notion of making the television – the very thing that we allow into our living room and our kid’s bedroom – something that’s potentially dangerous, to me, is just so incredibly delicious that I can’t tell you. 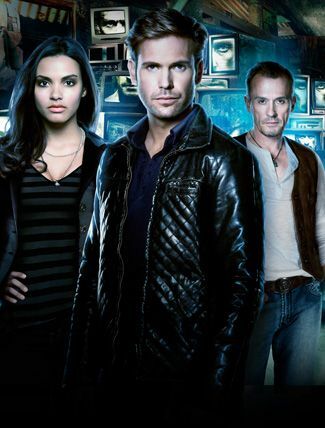 Having lived with this script for awhile, what’s it like to see this cast bringing your characters to life, especially with Matthew Davis and Robert Knepper anchoring the show? Matt, how soon after finding out you’d be leaving The Vampire Diaries did Cult happen? MATTHEW DAVIS: It happened so quickly. Literally, I called my agents on a Friday and told them I thought it was the end of Alaric being a series regular, and they sent me three scripts. One was a procedural drama, which I didn’t even read, and one was Beauty and the Beast, which I didn’t read, and the other was Cult, which I read and absolutely loved. I called them on Monday to say I loved Cult, and they called me back and said, “Cult wants to make you an offer.” It just happened, over night. A week later, The Vampire Diaries and the Cult productions worked out the dates, and I went to Vancouver to shoot Cult while we were shooting the finale of The Vampire Diaries. It happened so quickly that it really wasn’t about choice. It feels more like synchronicity and destiny, on some level. Do you typically like mystery shows, like this? DAVIS: Yeah! I’m definitely into the mystery and the drama aspect, and the heavier tone. I know The Vampire Diaries has been dark, in that sense, but it’s a very different show. I actually am looking forward to doing Cult, in the sense that, after three years of doing dialogue that’s supernatural, for me, it becomes ungrounded. It’s no longer human. It’s no longer real. You’re just floating around in this supernatural realm and, for me, that begins to lose its weight, creatively. So, I really like Cult, in that it’s a little more grounded. It’s not supernatural. It’s playing on the themes of television and social media and fan mania, paranoia and mind control. Those are all themes that I think are really interesting and can be used in a creative way to terrify an audience if that’s what you’re into. Have you ever been really involved with a show, the way the fans of the show within a show on Cult are? DAVIS: I can’t say that I have ever been fanatical about a show. To be honest, I’m not a big TV watcher. When I do watch TV, I watch the news. One of the reasons I do like Cult is that it plays along the same vibe as the movie Seven, which I absolutely love. There was a period of cinema, in the mid-90’s, that I was a huge fan of, with Heat and Seven, and the Tarantino era. If I’ve ever been fanatical, it was about those films, back in the day. And this show takes some of those qualities and uses them. Rockne, is the intensely meta and purposely confusing nature of this series challenging to write? O’BANNON: I find it fun! It’s not a stretch for me, at all. One of my favorite lines in The Avengers is when they’re talking about The Hulk and he says, “No, the secret is that I’m angry, all the time.” This is not that big of a reach for me, sadly. Matt, have you thought about what the bigger pictures is, with this show and your character? DAVIS: I have no idea! I talked to Rockne, and they’re still writing it. It’s a big mystery, which I think will be fun. I don’t need to know what’s happening. My character is in the process of connecting the dots anyway, so I don’t need to know what’s going on. I just know what I’m discovering, when I need to discover it. In terms of the overall arc, I don’t know how it’s going to go. We’ll see. I’m still trying to figure out how to describe the pilot. It’s so complicated! People are like, “What’s the show about?,” and I’m like, “It’s a show within a show, about a cult that’s about a cult, that’s on The CW, and it’s on The CW.” I’m still trying to put that together. Once I unlock that, then I can tell you how the rest of it will go. After signing on, did you do any research into cults, at all? DAVIS: I feel like I’m trying to start my own cult online, through Ernesto Riley. No, I haven’t done research on it, but I certainly feel front-and-center, in terms of being an actor on a popular show that has a platform, using social media to connect with fans. Using a certain sort of message can attract people to that message, and that creates power that you can either use responsibly or not. In that sense, I’m very familiar with the themes of the show, from that perspective. I think that will help me immensely with Cult, and is one of the reasons I liked it, to begin with. Will you be involved with the website? DAVIS: I hope so! I’ve got some ideas that I’m sharing with them. Since it’s the first time I’ve been #1 on the callsheet in awhile, I feel like I wanna get my creative muscle in there. It’s got a lot of potential.